On June 16, presentation of the collection “Hybrid war in the east of Ukraine in the interdisciplinary dimension: origins, realities, prospects for reintegration” was held. Within the framework of the All-Ukrainian Scientific and Practical Conference “Trends in the development of higher education in the conditions of a hybrid war in the East of Ukraine,” was held a presentation of the collective work of scientists of Luhansk Taras Shevchenko National University, which just has been published, a collection of scientific papers “Hybrid war in the East of Ukraine in an interdisciplinary dimension: Origins, realities, prospects for reintegration “(edited by V.S. Kurylo, S.V. Savchenko, O.L. Karaman). The idea to explore the hybrid war that unfolded in the east of Ukraine, from the standpoint of an interdisciplinary approach, arose in 2014, when the university was evacuated to the city of Starobilsk. The realization of this idea became a civil and professional duty of the university staff, which became not only a witness of those events, but also an active fighter against Russian aggression. During 2014-2016 several Ukrainian and one international conferences were held at the University dedicated to the transformation processes in various spheres of Ukrainian society and the state in the context of military and information aggression on the part of the Russian Federation; collections of scientific works “Bulletin of LTSNU” based on their results were published. In addition, during the evacuation, the University carried out and continues to carry out a number of scientific projects funded from the state budget of Ukraine, in particular “Mass Consciousness in the Zone of Military Conflict in Donbass” (I. Kononov, the Department of Philosophy and Sociology), “The Place of Armed Violence in the System of Power Relations “(S. Vovk, Department of Political Science and Law); the scientific project “Socialization of Pupils and Students of the East of Ukraine in Conditions of Hybrid War in Donbas” was submitted for the competition (V.S. Kurylo, S.V. Savchenko, O.L. Karaman, etc.). In 2017, the theme of the hybrid war became complex for the entire university staff and the proposed collection is the result of research by scientists from different fields of knowledge – history, philosophy, sociology, political science, economics, pedagogy, psychology, social work, philology, journalism. The goal of the collective work was the scientific substantiation of historical prerequisites, consequences and possible prospects for the development and reintegration of the Eastern Ukrainian region in the conditions of a hybrid war and the postwar period. The academic and practical significance of the collection is that it will contribute to the formation of an objective representation of the population of our country and abroad about the events in Ukraine in 2014-2017; To expose the crimes of the Russian Federation against humanity; To encourage the implementation of domestic and foreign policies, in particular educational, to prevent such wars in their own countries. The works of scientists from different fields of knowledge are of great interest. Thus, the Professor, Doctor of Sociological Sciences Illya Kononov researched the phenomenon of the Luhansk syndrome as an anomical reaction to the deployment of a hybrid war in Donbas, the essence of which lies in the reorientation of the large masses of the region’s population to the aggressor for the purpose of seeking security; There were showed the results of a large-scale poll in the East (Luhansk and Donetsk regions) and in the West (Lviv and Ivano-Frankivsk regions) of Ukraine, which allowed to fix cognitive dissonance in the mass consciousness of the regional community of Donbas on civil identity, regional and foreign policy orientations; The internal prerequisites for the development of the Luhansk syndrome in Donbas were determined; A conclusion was made about the situability of this phenomenon as one of the components of a hybrid war. The Doctor of Science in Public Administration V. Zablotsky analyzed the features of the emergence and expansion of the military conflict in Donbas; There are three stages of the conflict that are inherent in all such conflicts of the twentieth century: at the initial stage, the population and social groups are divided into “their own” and “strangers” by some kind of feature or set of features, such as national, regional, religious, political affiliation and so on. The second stage is the transition to active actions, which is expressed in spontaneous or organized rallies, strengthening counteraction to law enforcement bodies. And, finally, the third stage is the beginning of directly violent actions. The Donbas passed all these stages. The Doctor of Economic Sciences, Professor Yu. Drachuk reveals the regional economic policy in conditions of decentralization of management in Ukraine and hybrid war. Here in the section “Economics” the Candidate of Economic Sciences N. Ryazanova conducts a comprehensive assessment of the damage and prospects for the restoration of the eastern regions of Ukraine. 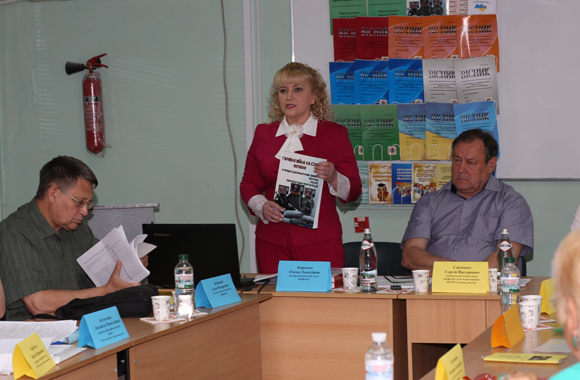 In the section “Pedagogy (Education and Upbringing)” are represented the article of the Doctor of Pedagogical Sciences, Professor, Academician of the Academy of Pedagogical Sciences of Ukraine, People’s Deputy of Ukraine V.S. Kurylo, who describes all the legislative initiatives of our University and personally him as a People’s Deputy in the activity of Luhansk Taras Shevchenko National University to ensure the right to receive education by persons whose place of residence is the territory of the ATO; The article of Doctor of Pedagogical Sciences, Professor, Corresponding Member of the Academy of Pedagogical Sciences of Ukraine S.V. 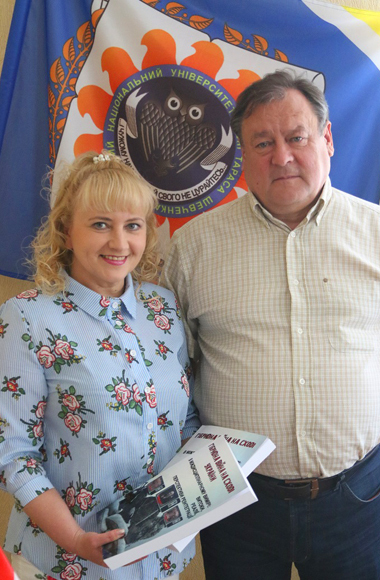 Savchenko, Doctor of Pedagogical Sciences, Professor Olena Karaman – “Transformation of higher education system in the conditions of information society and external challenges”; The article of the Doctor of Pedagogical Sciences, Professor E. Hrykov “Lessons of hybrid war for higher education of Ukraine”. 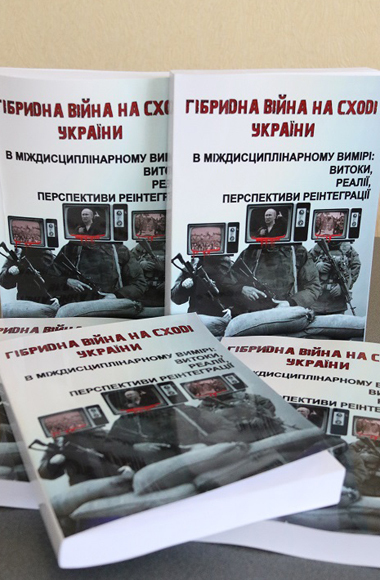 In the section “Psychology” Ph.D., Associate Professor T. Pashko reveals the psychological mechanisms of changes in the consciousness of the population of Donbas as a result of the information-psychological operation. In the section “Philology” Doctor of Philology, Professor K. Gluhovtseva makes a general overview of the history of the creation of dialects of our region, closely related to its settlement by Ukrainian and Russian. For example, rural residents of the Luhansk region use two languages ​​- Ukrainian and Russian, but their linguistic affiliation is much more consistent with their ethnicity. The Russian language is more common in cities than the Ukrainian language because of the wrong language policy on the ground, the stereotyped thinking of many leaders and teachers led to the fact that the functional activity of the Ukrainian language has not changed significantly during the years of independence, etc. It can be used in the educational process of secondary schools, vocational, and higher educational institutions; when writing the course, master’s, dissertational works in different fields of knowledge; and for self-education.